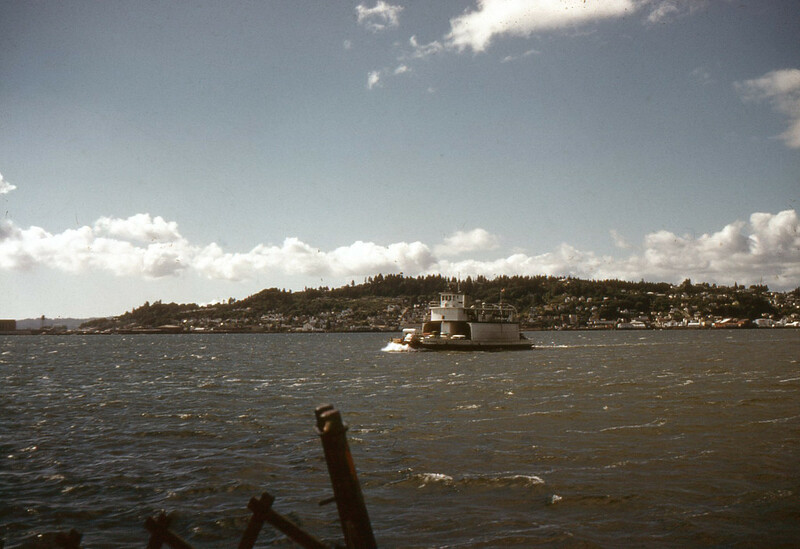 The Astoria-Megler Ferry ran near the mouth of the Columbia River between the towns of (now non-existent) McGowan Washington, and Astoria Oregon. 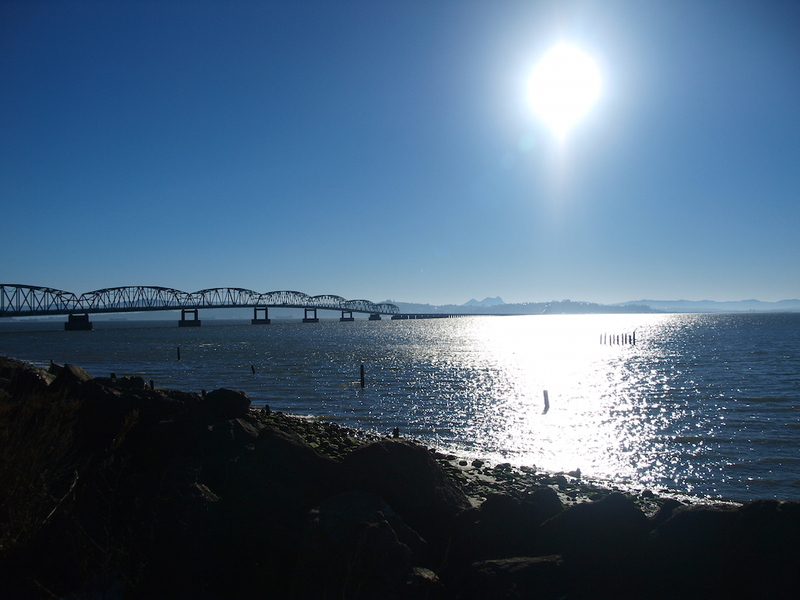 It ran from 1921 until the opening of the Astoria-Megler Bridge on August 27, 1966. 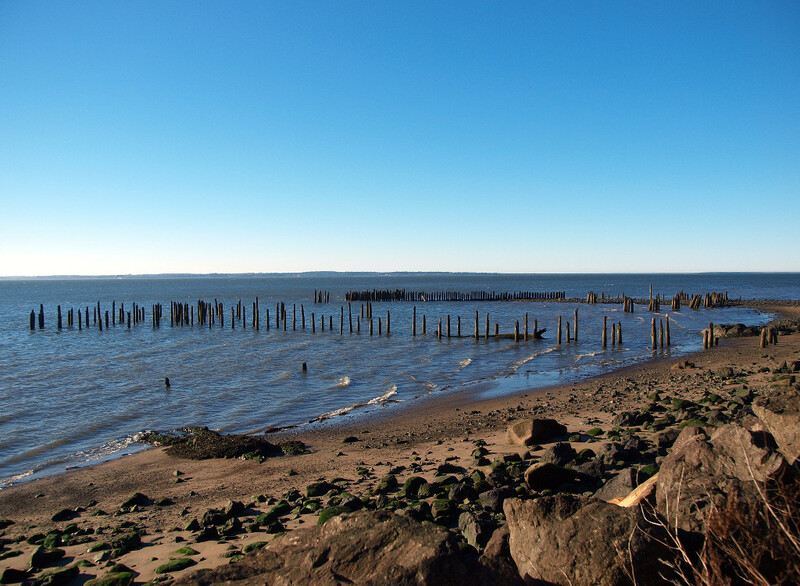 Until the paved highway between Astoria and Portland was completed in 1916, access to the Long Beach peninsula was only achieved via sternwheelers docking at Illwaco Washington. When the business for the sternwheelers died out, Captain Fritz S. Elfving saw a need to provide ferry passenger and cargo service to the north side of the river. He incorporated the Astoria-McGowan Ferry Company in April 1921 and raised $30,000 in capital. He then had the diesel motor ferry, Tourist, built in Astoria. Business between the two points was so popular that he built a second ferry, the Tourist II which was launched in 1924. By 1926, the ferry business had taken so much business from the Union Pacific Railroad that they started their own competing ferry business. The Union Pacific’s North Beach made it’s first run on July 6, 1927 between Astoria and Megler. The two ferries competed for three years, but the Union Pacific lost money so they sold to one of their employees, Captain Calvin E. Stewart. 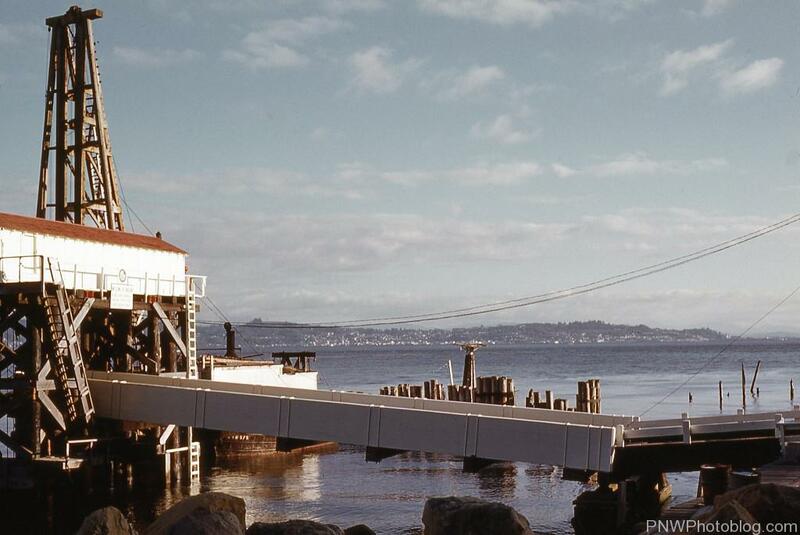 Despite his best attempts, including purchasing all the land around Elfving’s Astoria docks and installing pilings to keep the ferry from docking, Stewart sold out to Elfving in 1932. Elfving closed the McGowan docks and started using the Megler dock which was apparently a better location. He ran the ferry business until his retirement in 1946, when the Oregon State Highway Department purchased the ferry. They added another ferry in 1948, the M.R. Chessman. And the Kitsap in 1962. All four ferries ran the route until construction of the Astoria-Kegler Bridge made the ferry service obsolete. Bridgehunter.com has a great piece about what happened all to all the ferries.